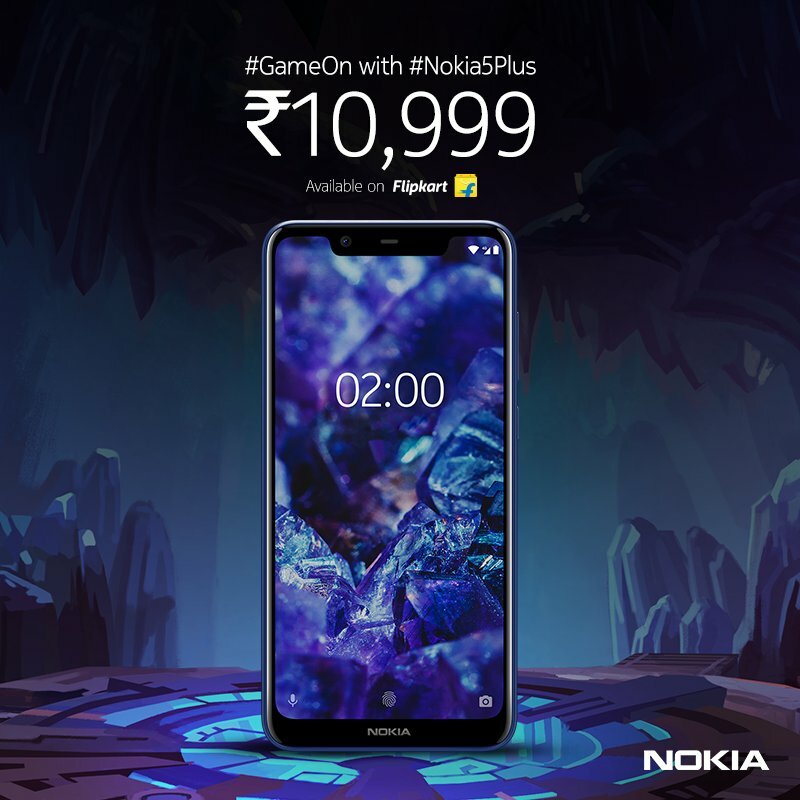 After launching the Nokia 6.1 Plus in India, the company just announced the Nokia 5.1 Plus. It is a Flipkart Exclusive smartphone, featuring the Helio P60 processor, Glass back, Android One branding and more. At a starting price of Rs 10,999, this is a really good smartphone considering all the features it offers. This is the only device after the Realme 1 that comes with Helio P60 processor under Rs 12K in India. The Nokia 5.1 Plus looks premium, thanks to the 2.5D Glass on the rear and the glossy sides. Only a few phones at this price come with a premium glass back. On the front, there is a 19:9 display as the screen has a notch on top. But, compared to the notch on the Nokia 6.1 Plus, the one on the 5.1 Plus is pretty big. Despite having minimal bezels on the top and the sides, the phone has a big chin, just like other Android phones with notches. One impressive thing that Nokia has done regarding the design is adding a USB Type-C port. When compared to the competitors like the Realme 1, Realme 2, Redmi Note 5, Asus Zenfone Max Pro M1, Redmi Y2 etc., this is the only phone that features the USB Type-C port. On the rear, the phone has dual camera setup and the Android One branding. 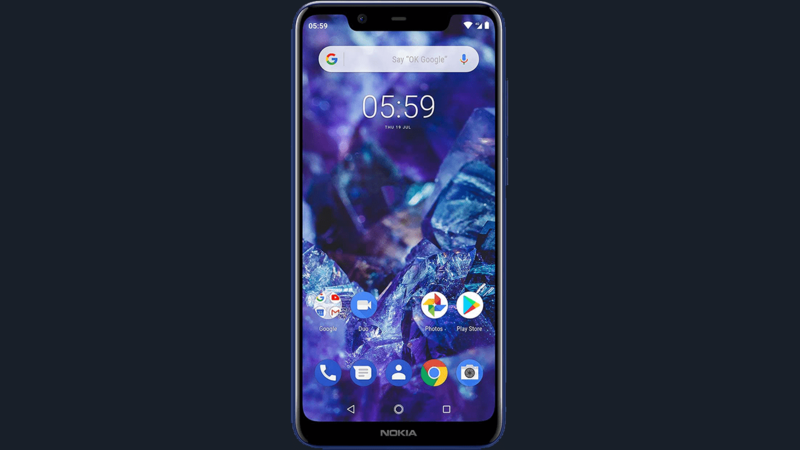 Coming to the specifications, the Nokia 5.1 Plus has a 5.8-inch HD+ display with an aspect ratio of 19:9 and a 2.5D glass on top. Under the hood, there is an octa-core MediaTek Helio P60 processor, which sits between the Snapdragon 636 and the Snapdragon 660 when we talk about the CPU performance. The GPU performance, however, is not that great as compared to the Snapdragon 636’s GPU. Still, this is the best chipset you can get at this price. On the rear, there is a dual camera setup that includes a primary 13MP f/2.0 lens and a secondary 5MP depth sensor. On the front, the phone has an 8MP f/2.2 camera. There are AI features like Bokeh Mode for the rear as well as the front camera. The Nokia 5.1 Plus runs on Android 8.1 Oreo out of the box, and since it is an Android One device, it will get two major Android updates for sure. There is a 3,060mAh battery underneath that supports 5V/2A charging via the Type-C port. 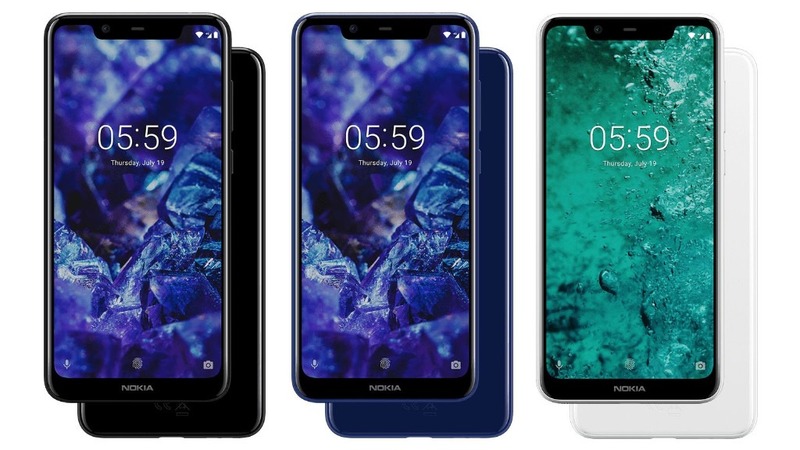 The Nokia 5.1 Plus comes in three colors – Gloss Black, Gloss White, and Midnight Gloss Blue. As mentioned in the beginning, this is a Flipkart Exclusive phone in India and will be available to buy on October 1 at 12:00 p.m.